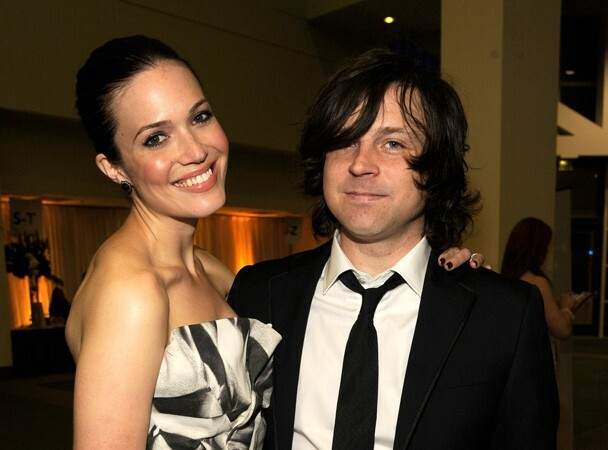 Ryan Adams will likely collaborate with his wife, Mandy Moore, on her forthcoming album, the follow-up to 2009’s Amanda Leigh. Last week, Moore tweeted that she was working on new music, and shortly thereafter told CBSNews.com that Adams would probably be involved. “I’m probably going to work with my husband on this album,” said Moore. “I’m not sure necessarily in what capacity, but we’ve been writing a little bit together. He has a studio, so I definitely want to make my record there.” Moore said the album will be released late 2012/early 2013, and that Adams’s musical taste has influenced her songwriting. “He certainly inspires me,” saids Moore. “There’s tremendous influence right now around the house [including] the music I’ve been introduced to.” So there’s a chance the new album will include some black metal? Can’t wait.